Thanks a lot for thinking about me here. It does look old which is a plus. 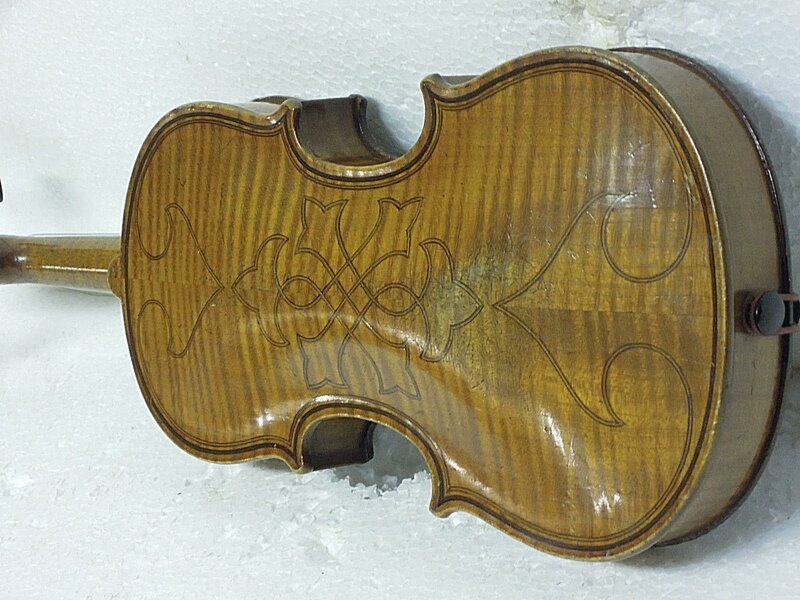 The purfling is painted on which is a minus and there are some condition issues. 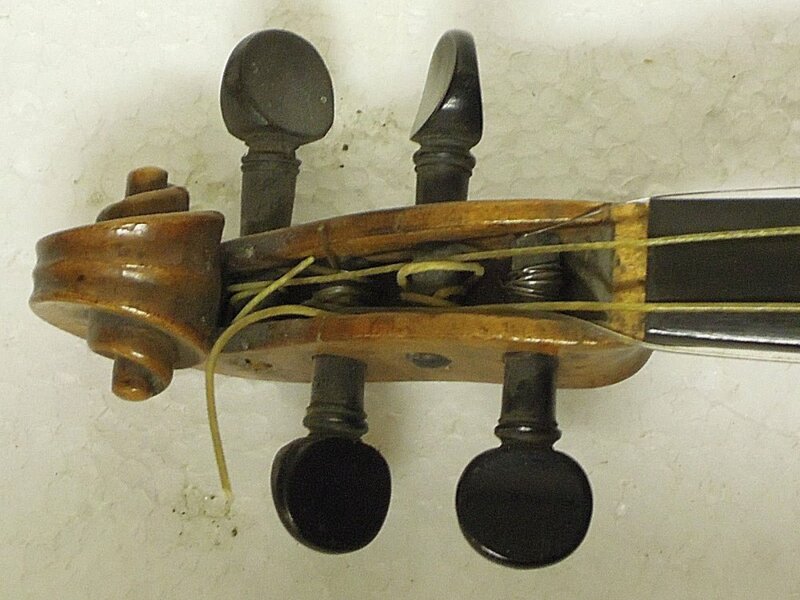 I's grab it if the seller accepts a very low BIN price, what can you all say about this instrument? Any analysis worth mentioning? NB. 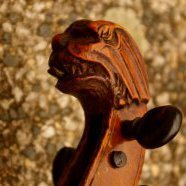 Bassbar crack to the left of the tailpiece? Alright, I've got an offer pending with message, fingers crossed, haha. Cheers. 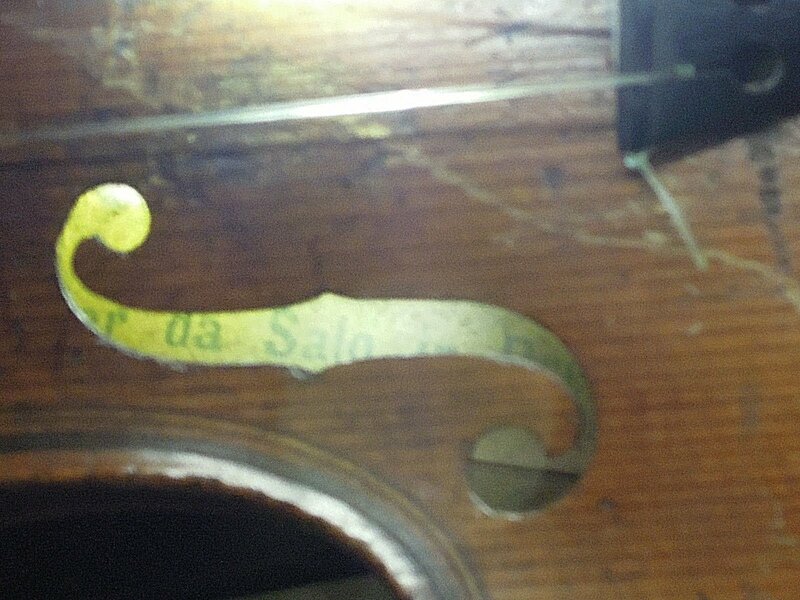 The varnish seems to have been slopped on with little care, was this original or after the fact? 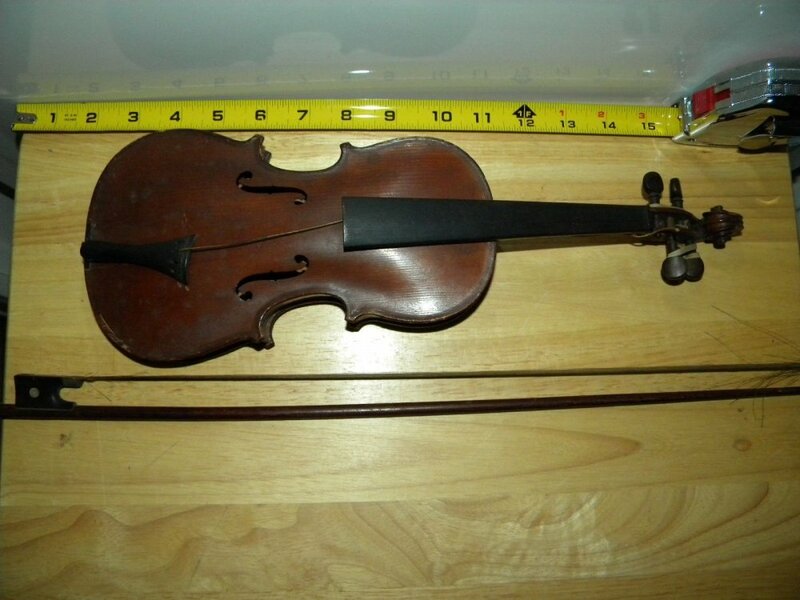 I pulled my offer, the more and more I thought about this violin (and considered the advise I got from a forum member via message) I didn't think it was worth the lowest offer the seller would accept ($100). 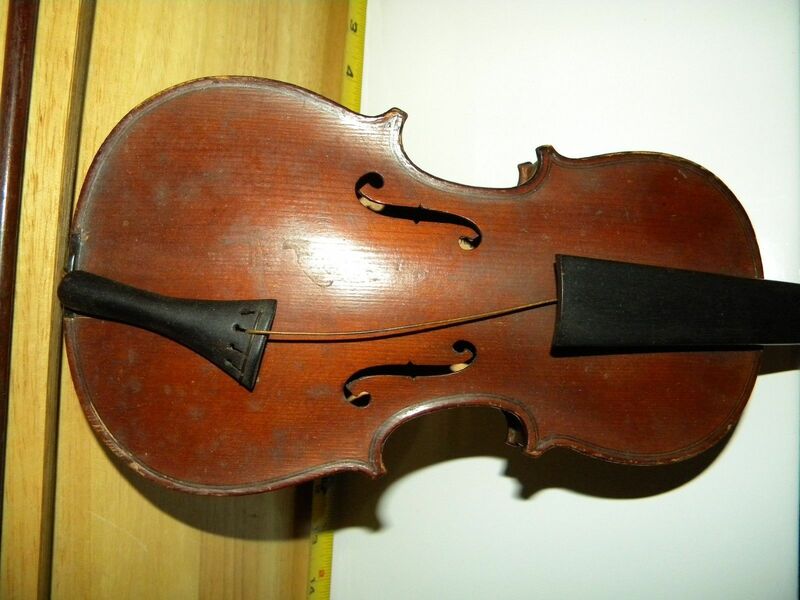 Painted purflung, missing saddle, bassbar crack, very sloppy varnish likely redone, poorly carved head and scroll, very uneven scroll eyes, mismatched pegs, etc etc. 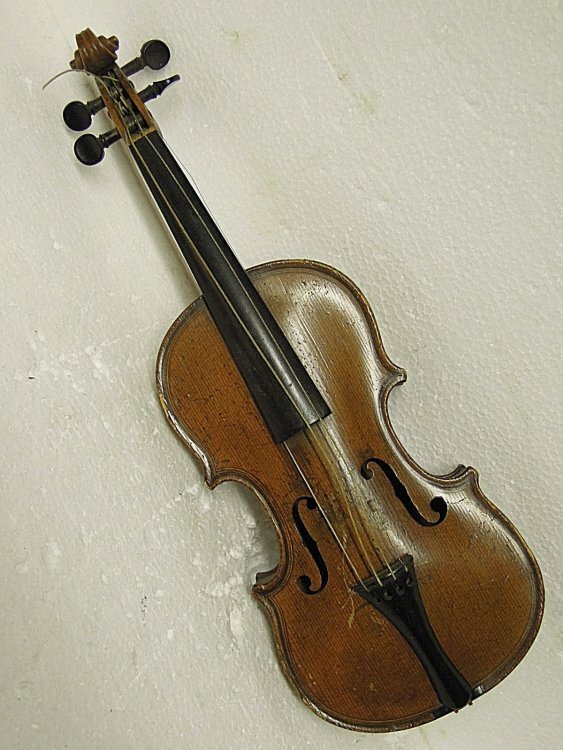 much appreciated Mendicus, if anyone else finds an old fractional 1/8 or smaller for a decent price please message me or post here! 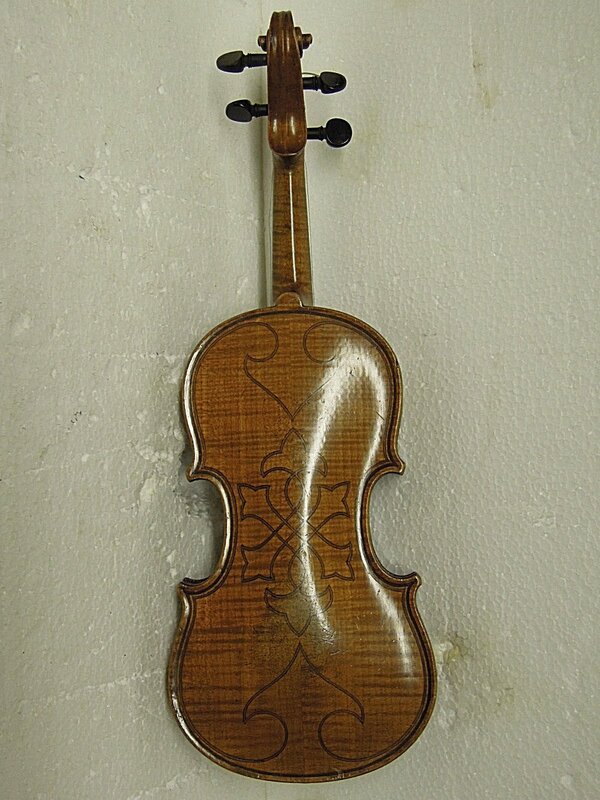 Seems to me as a real violin. Fantastic thanks I hadn't seen this yet wish me luck!!! Much appreciated. 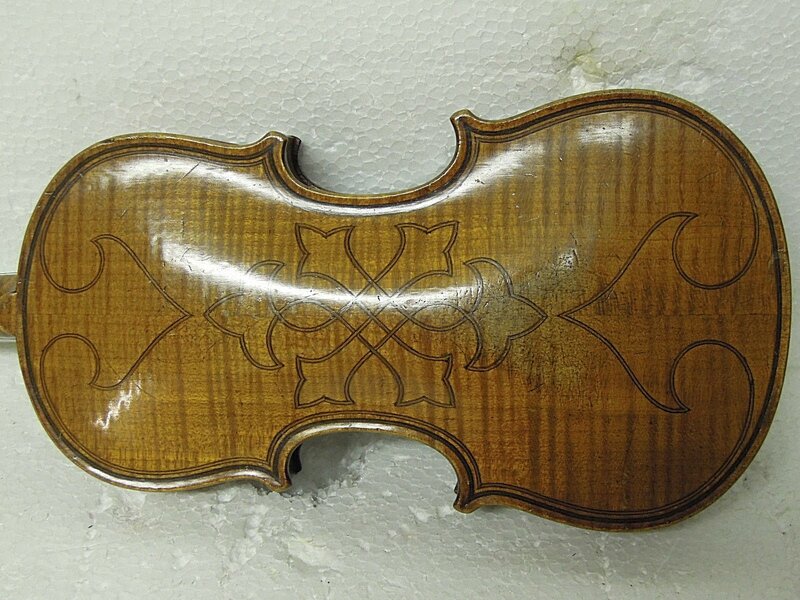 Seller just uploaded another image showing a fierce saddle crack formerly mostly obscured by the tailpiece. Changes my bid-to-come but still like it! One guy jumped in, maybe a lurker here? 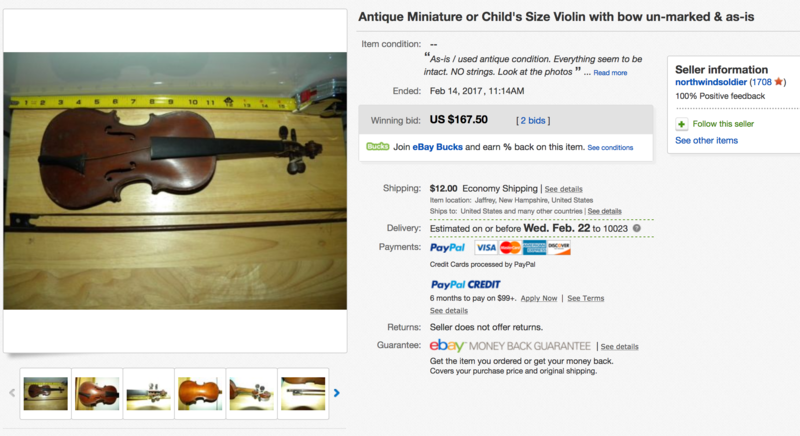 I had to smash at the last second and the violin is now won and paid for. Much love to respected forum brother mendicus and the rest of you for helping me out. This is more than I had expected to pay but I'm OK with it. 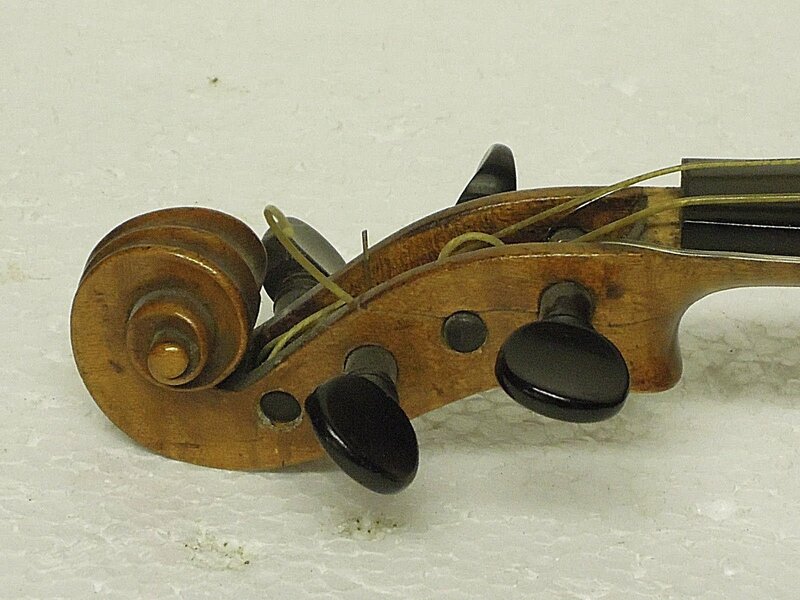 It is so unusual to find one of these tiny 1/8 or less violins 100+ years old and made with care. Please keep the alerts coming. I try to regularly do searches to find these but sometimes they don't come up for one reason or another. Is this a tough repair? I could hang it on the wall with my others or attempt a repair. What steps go into this? 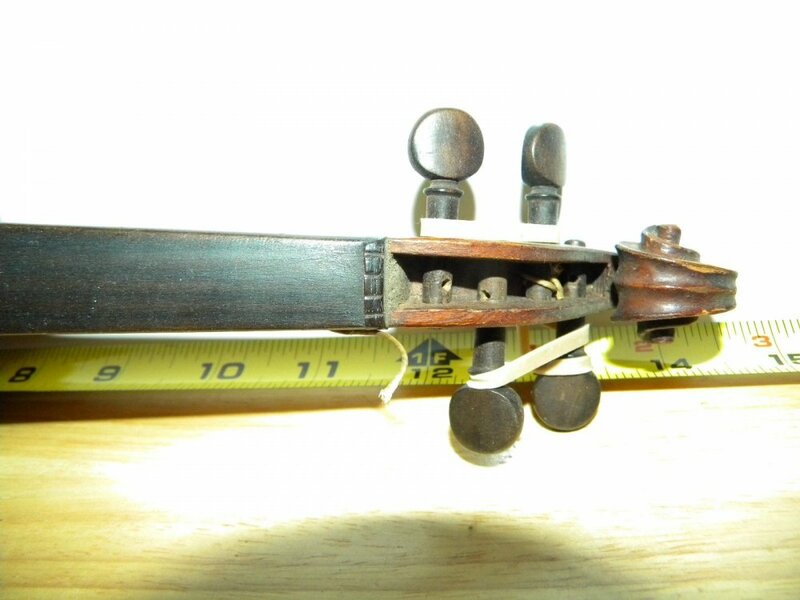 Remove fingerboard? Remove top? Clean crack? Then what? I'm happy either way Cheers. Pics to come when it arrives although current pictures already tell the story. This repair is not complicated. Take the top off, glue the crack, put a few cleats (the first one a little bit behind the start of the crack) and glue the top back (the saddle has to be shortened a bit (A BIT) from both sides). Fantastic Franciscus, I will create a new thread when the violin arrives to figure out the details of how to glue the crack and apply (and make?) the cleats. Cheers. I am not, for sure, the good mentor for this kind of work, but I can tell a few words, from my point of view. Looking at this crack, seems to me that it is fresh and clean, so maybe there is some space for shortcuts: you do not have to take the top off, but you need to have something like that. You do not have it, so, take the top off. 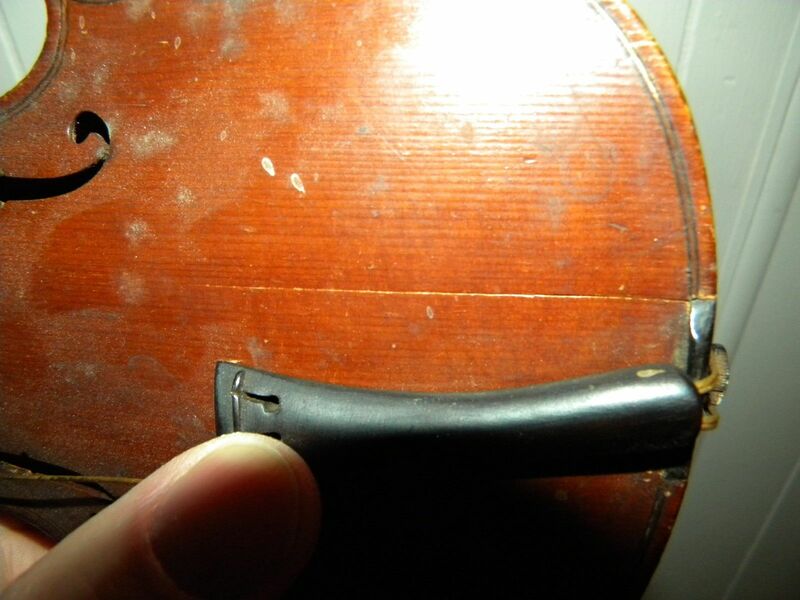 The crack is long enough to think about the keeping its sides in line during the curing of the glue. I use these small beasts, oiled on the surface in contact with the wood, stacked along the crack. I do not know in this moment where are my clamps, because my workshop is in the transition from my kitchen to my balcony, but they have been made using this design ("Across-the-arching clamp"). 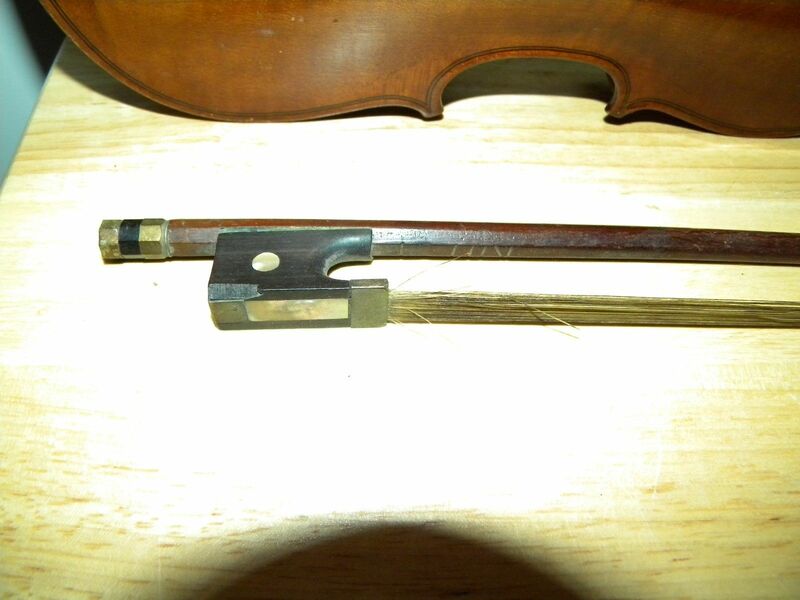 OK, you can buy the appropriate clamps, but I think that the mentioned clamps are just enough and you can made them while you are waiting for the violin. 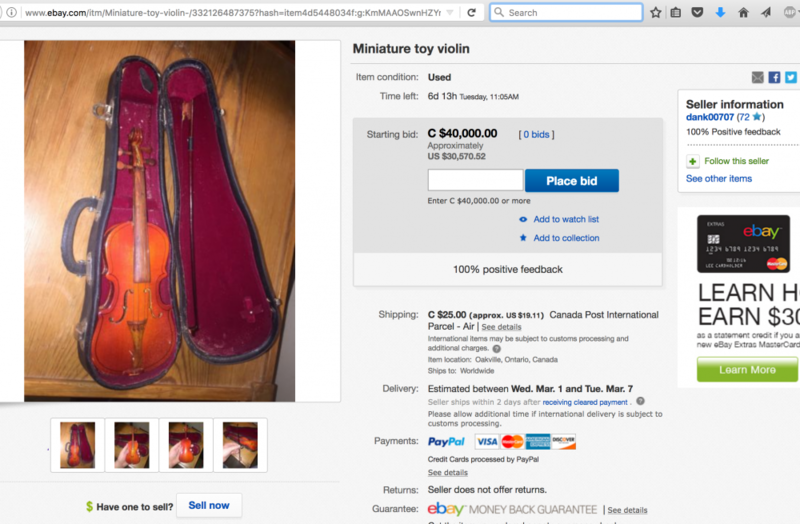 Congratulations for the purchase, I think that you did bought the very nice instrument. I really would like to know what is it really. It is not the sample, it is the playing tool, but where, when and , hopefully - who, would be very interesting to know. It looks like (another) Mittenwald Verleger ca. 1900. It would be important to check if the crack stops with enough distance to the soundpost area. If it's too close, the top should better be taken off to make a proper glueing. 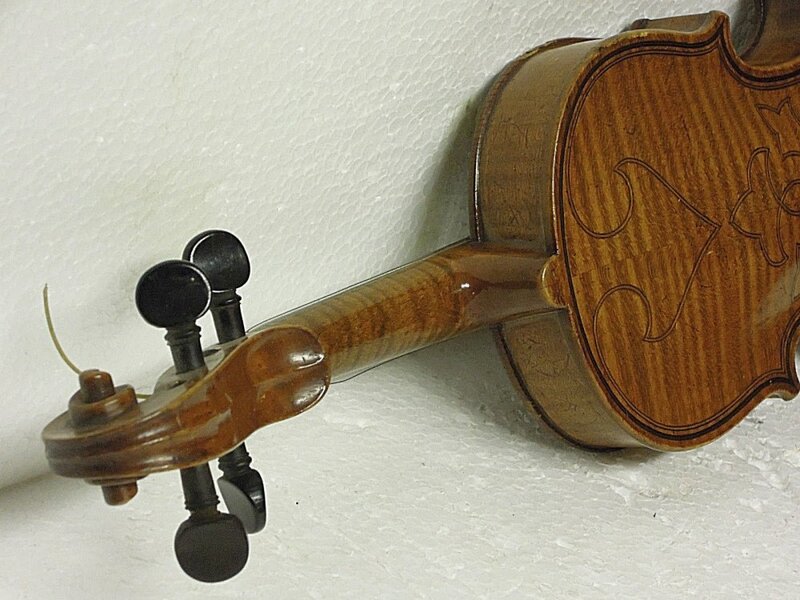 Usually with this small violins there's not so much pressure at the post, thickness is relatively strong, so that's not necessary to make a patch, but one should be sure that the glue runs all the way into the crack and that the inner surface is smooth. Never glue such a crack all at once, but in two or more steps. 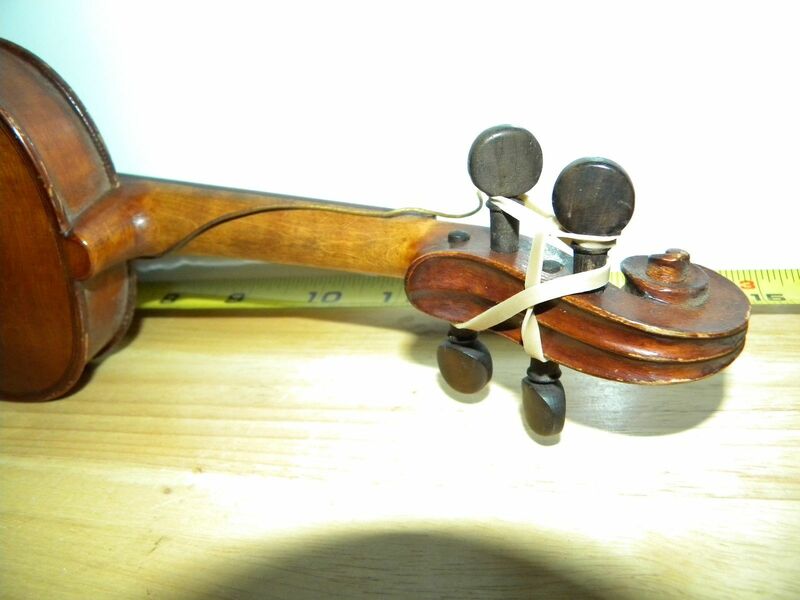 If it's glued from outside, remove the plate from the treble bout and the lower block to release all tension. also, mendicus and others feel free to PM me next time just in case the other bid was from a lurker, I might have snagged this for $50 haha very much appreciated all around! 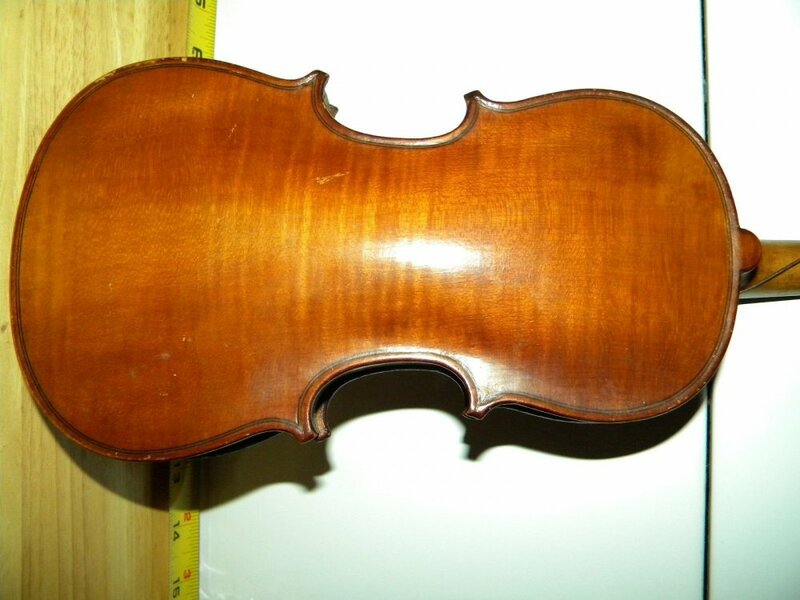 then after I get the violin I'll post it here with credit to my referrer haha.